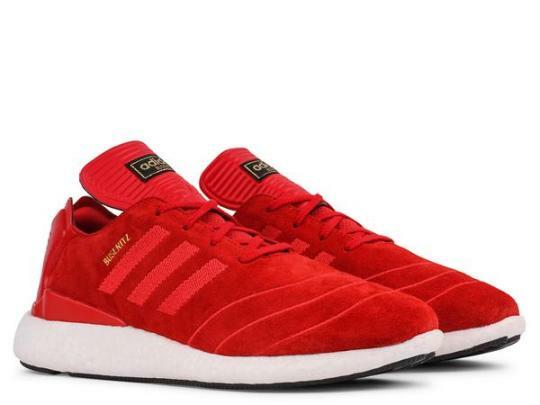 Inspired by the Copa Mundial, the Busenitz Pure Boost by adidas takes running technology and applies it to the skateboard. Durable premium suede uppers and a textile lining provide durability and comfort. A full length boost midsole adds a dynamic ride, and energy return upon impact. Rubber tread outsole for great grip and boardfeel. Currently available online at Xhibition.co.